You start your day and everything seems to be as normal as it gets. Operations are running perfectly, all projects are running smoothly and are meeting schedule requirements. Out of left field comes a fly ball that hits you right between the eyes, a major upset that will has potential for a production loss, or missed deadlines. You have people you can rely on to help you through these situations, but everybody is busy so something has to move, or does it? Being straddled with situations like the ones above seems to be more normal than not in our hectic schedules. How can you resolve the situation like the one above, do you panic? Or do you have a sound support team that can you get you through this? This is where a Fortis Engineering can assist you on-site, off-site, or take over certain areas of the problem completely. Fortis is an Engineering, Manufacturing and Mining service company based out of Saskatoon. Fortis Engineering can assist with all your technical support requirements throughout your operational activities or projects. 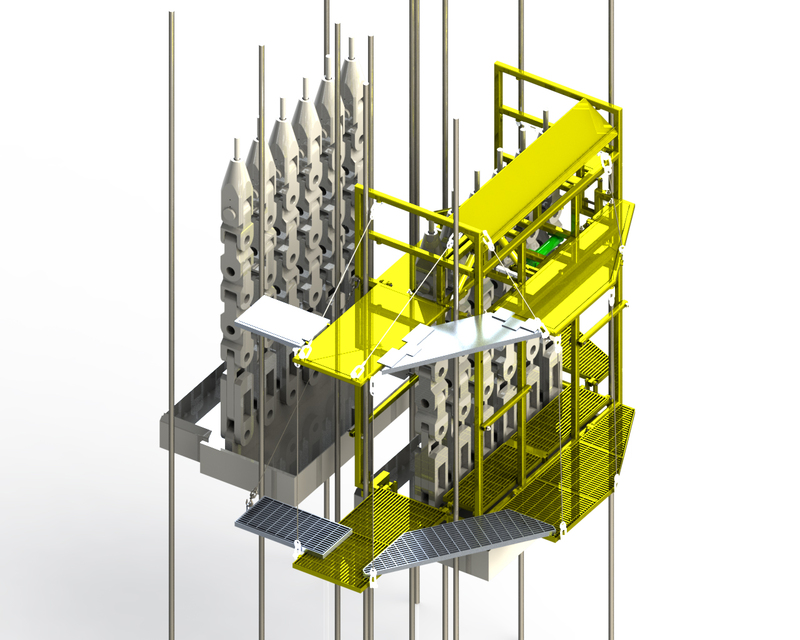 Engineered Lift Plans and Rigging Studies. Engineered Lift plans for transportation through mine site shafts. Certified critical lift planning and staging requirements. Structural bearing beam supports for roping and de-roping of mine shafts. Skip, Cage, Lifting bale removal and install. Custom design and drafting for jib cranes, monorails, and gantry cranes. Overhead protection and head covers for work in the shaft. Work decks and Inspection decks for working of the top of skips including head covers. Onsite engineering and design support available to handle complex mechanical and structural projects. Can provide project engineering and project design personnel onsite, to handle a project from start to finish. Fortis Engineering can also take this one step further. With every engineered design produced, Fortis has the capability to manufacture and install everything that we design through Fortis’ manufacturing and mining divisions. Please contact engineering@fortiscorporation.com for all your engineering and design requirements.